Trying to impress and entertain all of the guests at your wedding can be exhausting. With so many different personalities, tastes, and preferences you can find it hard to please everyone. The key is to provide enough diversity within your event that everyone feels special. From food ideas to unexpected little touches the Beardmore Event Center connected to the Courtyard by Marriott along with The Knot highlight some of the ways to make your event stand out from the others. Beardmore Event Center connected to the Courtyard by Marriott just opened in August 2016 and features the newest state of the art capabilities in the metro area. Kick off your reception by welcoming guests with a unique themed gift. Forget the koozies, bottle openers, magnets, and kitchy stuff and focus on personalization by offering them something local. 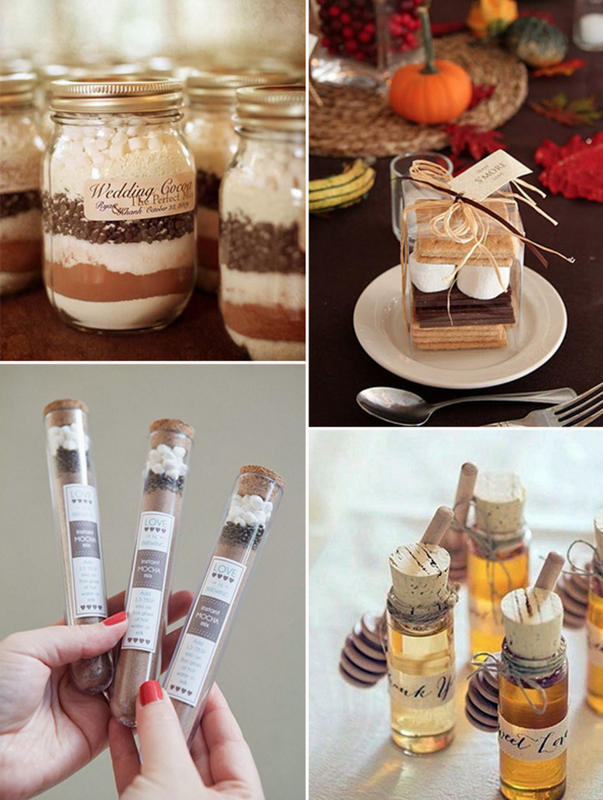 Offering your guests a local gift allows them to take a little bit of Bellevue, Nebraska home with them. Consider adding a personalized welcome and thank you note. Allow your guests to remain social while snapping photos and selfies at your wedding by creating a wedding hashtag. 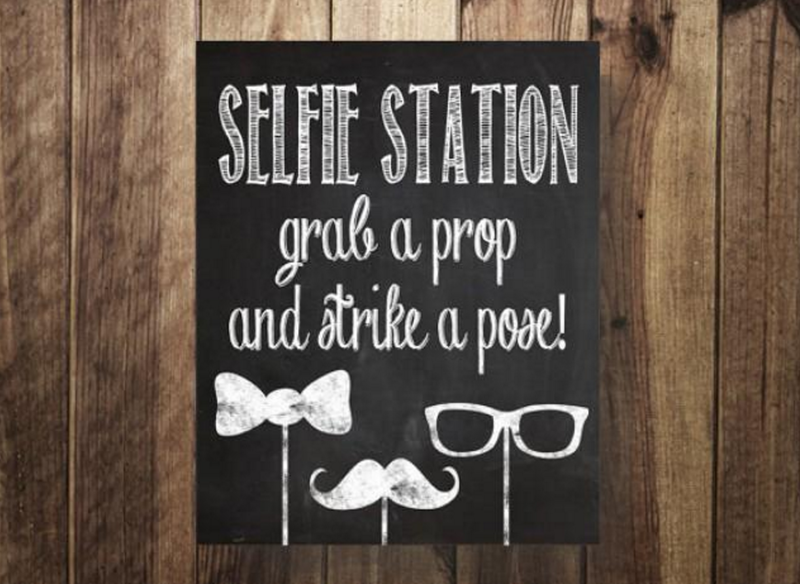 Post signs with the hashtag and create a unique space for selfies with upload instructions to your favorite social media sites such as Instagram and Facebook. Stream the photos live at your event. Personalize your event by using ushers at your reception to walk guests to their table for an upscale restaurant experience. 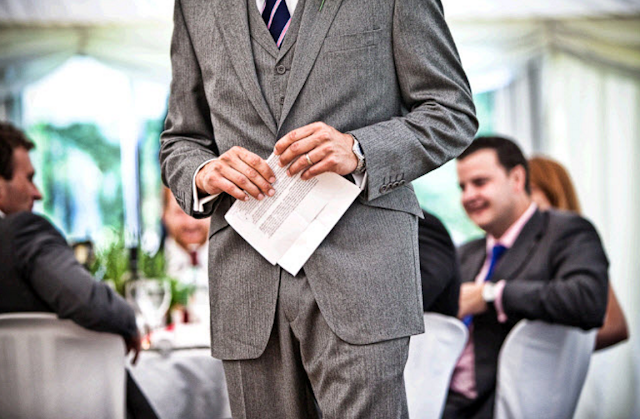 Ask your reception venue if their waitstaff can perform the duty or assign a few ushers to do the job. 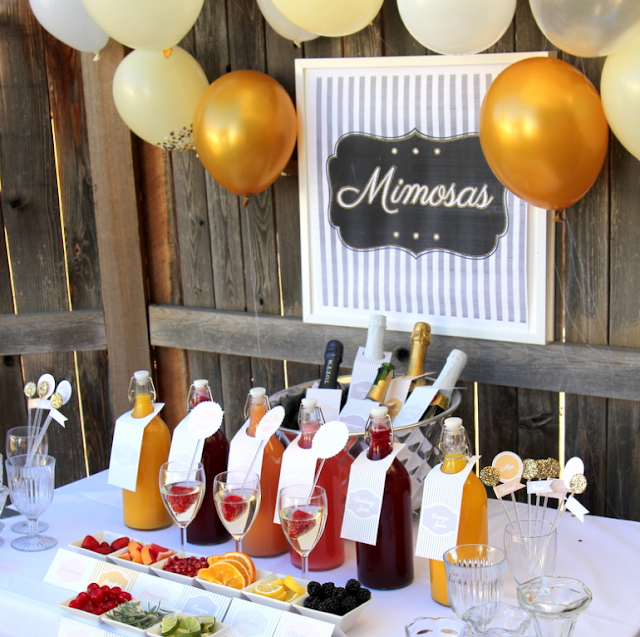 Host a bar or dessert station during your cocktail hour where guests can customize their own bites or sips. Dishes full of fruit purees, lavender sprigs, citrus twists, and flavored ice cubes that can be spooned into glasses of bubbly will make the toast that much more fun. Another fun idea is to have a pro on hand to explain the in the ins and outs of tasting beer, wine or whiskey! You don’t have to serve foie grois for your food to be fancy. 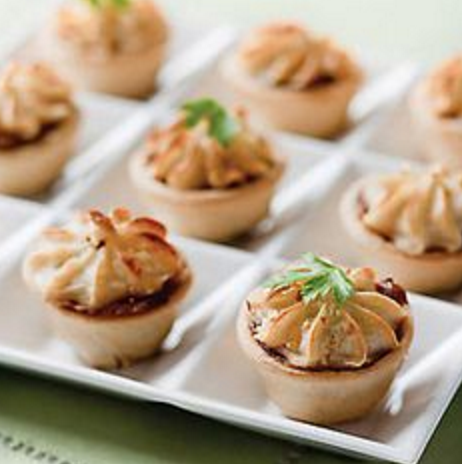 Instead serve foods that suit a variety of pallets. At the Beardmore Event Center we invite you to work with our chef to come up with creative ways to serve everyone’s favorites. Even simple grilled vegetables can wow when served in a cool color-coded design and mini anything is always a hit. Plan a post wedding bash for those guests the want to keep going in a smaller salon or hospitality suite. Consider designing the space as a place to unwind with comfortable sofas, chairs, and plenty of pillows or keep the party going by offering a different scene with music, drinks and a late night snack. Think sweet or savory when it comes to food or consider serving a quick fast-food type meal with burgers, fries and milk shakes. 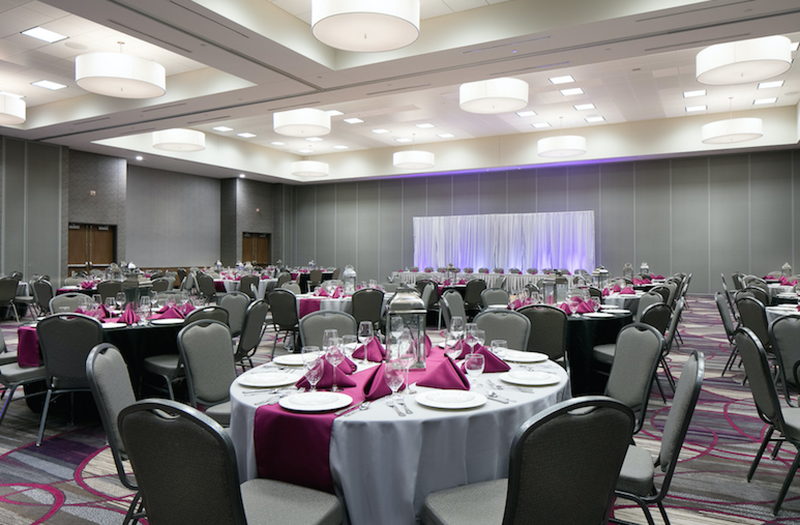 The Beardmore Event Center in Bellevue Nebraska offers more than 18,000 square feet of flexible event space. 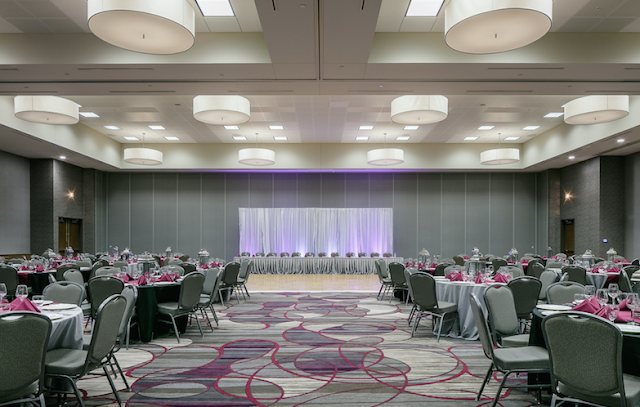 Our beautiful La Bellevue Ballroom is a modern, upscale and contemporary space that can be designed to accommodate any theme, and seats up to 650 guests. 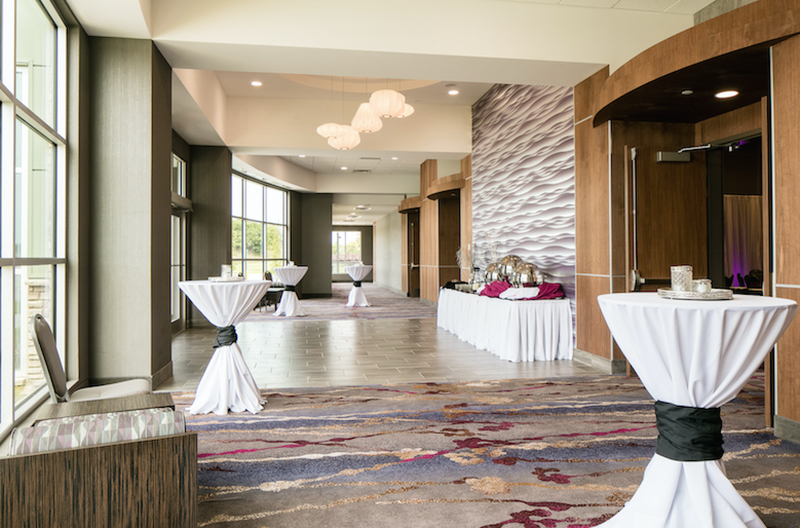 This space is perfect for hosting a variety of your wedding events, from your ceremony and rehearsal dinner to your unforgettable wedding reception and morning after gift opening. 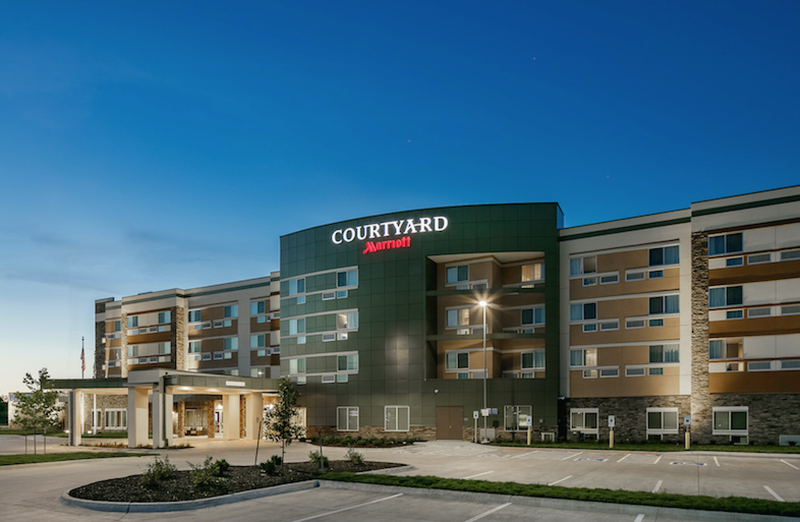 Not to mention our connection to The Courtyard by Marriott allows your guests to fully enjoy their evening all under the same roof. With so much flexibility hosting your Nebraska wedding at the Beardmore Event Center is the perfect choice. 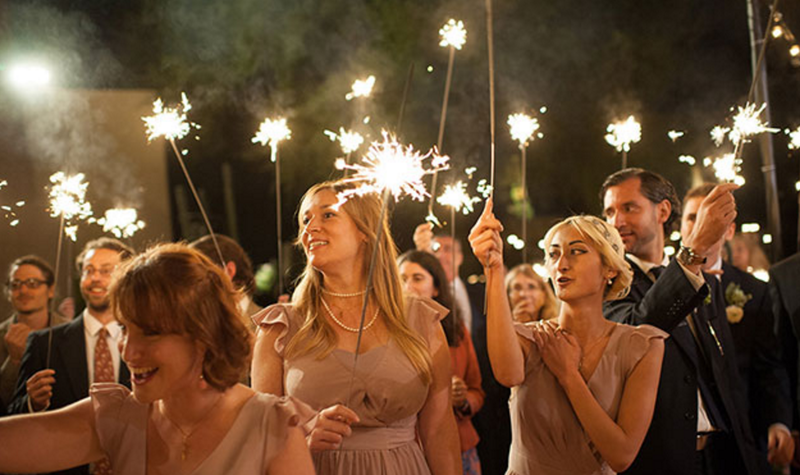 Our outdoor patio is the perfect spot for your wedding ceremony. 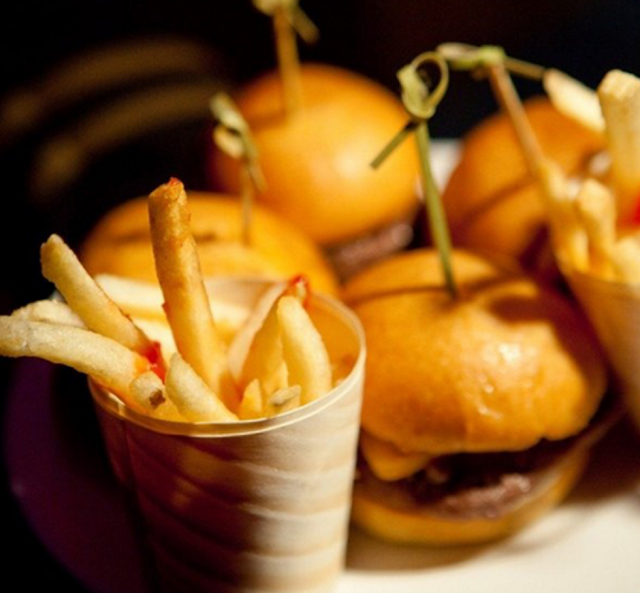 Greet your guests and host a cocktail hour prior to your main dinner in our pre-function space. 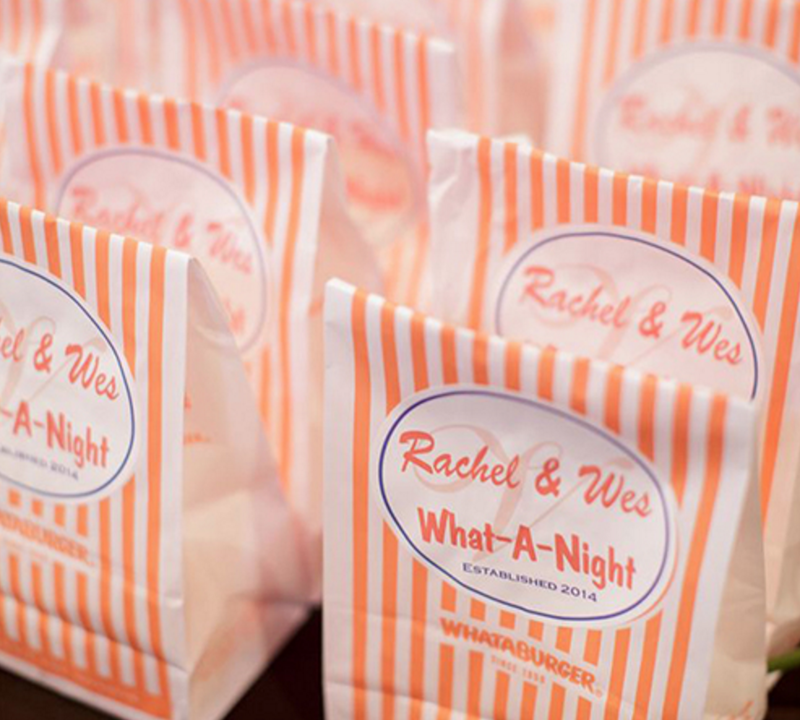 Our goal is to wow your guests and take the guess work out of knocking your socks off. This philosophy is why we’ve been voted winners in three separate categories in the 2016 Sarpy County People’s Choice awards. Meet with one of our event specialists today to discuss unlimited possibilities for making your wedding stand out from the rest. Be sure to visit our booth at the Omaha Bridal Fair on October 9th, and at Essentials’s Big Idea Show on October 16th. Check out the Beardmore Event Center at www.beardmoreeventcenter.com and contact one of our event specialists today!